The Pope Law Firm provides legal services throughout Western New York's eight counties, with offices in both Erie and Niagara Counties. As a full service law firm, we offer a broad spectrum of legal services. 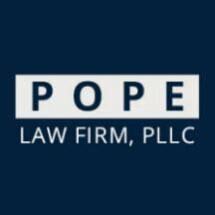 With an ever-expanding client base of individuals and businesses, the firm uses the most sophisticated and advanced legal information systems available while at the same time delivering legal services to our clients on a one-to-one basis, much the same as Mr. Pope did when he started over a quarter of a century ago. The guiding principal at the Pope Law Firm is to treat our clients as we would want to be treated-with respect and courtesy. Our goal is to obtain the desired result for our client as quickly and as efficiently as possible.